I’m so super excited even though the picture suggests that I have lost my food mind. Here I am, after being gone for a few days (why does it take me like five years to recover from the workshop?!) and THIS is what I hit you with. That’s right – THIS. 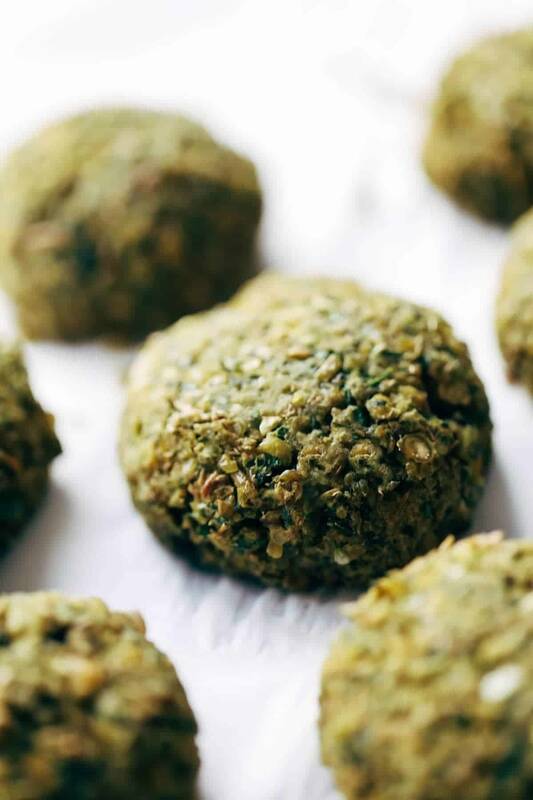 This simple baked falafel that only requires five basic ingredients to throw together (featuring my one and only LENTILS) is really the only thing I could bring to you today – it’s all I’ve been thinking about in the food realm lately. ♡ It’s ultra-textured, just the right amount of spicy, and baked to soft perfection for all your lifelong falafel wants and needs. This baked falafel is my new favorite way to build a meal. Maybe it’s a little yellow-green. Maybe it looks like alien food I DON’T KNOW. But it definitely, absolutely, for sure tastes very bomb. If you’ve never had falafel before, first of all, 😱😱😱😱😱😱😱😱😱😱😱! Secondly, okay. Breathe. Steady. Calm. We can be calm about this. Right now at this very second, google “best falafel in (name of your area)” and get out into the world and find yourself some good falafel. I’m serious. Leave this blog now and go get the job done. Also: call me, because I want to come with. Once you’ve been introduced to the wonders of falafel, if there should come a day when I don’t want to go with you because I love wearing sweatpants and XL hoodies more than I love going out for falafel (I mean, weird, I don’t know, just throwing it out there) or even more shocking: YOU yourself don’t want to go out into the world for falafel (!!) but you still want to eat all its flavor-jolting plant-based goodness for weeks on end in rockin salads, over-the-top sandwiches, and… all the other stuff that people eat falafel in, then this recipe was made just for you and me and all the other simple recipe lovers of the world. This baked falafel recipe = a handful of regular things. lentils / cilantro + parsley / garlic / jalapeño / lemon juice / salt / olive oil all up in the food processor. Speaking of food processor, do you have one? YOU NEED ONE. I love mine so much that I wrote a full post showing off 12 magical ways that I use my food processor. Must must must. Go now. We’re going to get a little bit of flour in there to hold it all together, too, so technically we’re at more than 5 ingredients if you must get tech-ni-cal, but I always feel like things that 98% of my readers already have in their kitchen cabinets don’t need to count as full blown ingredients. Go locate some lentils and cilantro and jalapeños and get started. Guys, girls, readers, frenz. I need you to know that have some really good, colorful, healthy and extremely satisfying things to come next week for which you will want your little falafels at the ready. And while you’re at it this weekend getting these all set for your fridge for weekly meal planning, go ahead and double the recipe – they freeze nicely and there is absolutely more than one recipe ft. these little weirdos on the food blog horizon. And then also while you’re at it, go ahead and DEVOUR THEM. With tahini or hummus or magic green sauce. Somehow I even managed to find a way to eat a few of them with my leftover Thai massaman curry and pad see eiw and white rice combo. Awesome Thing #49 About Falafel: plays nice with other foods. It wouldn’t be weird to bring falafel to Friendsgiving, right? Easy baked falafel at home in 30 minutes WITHOUT deep frying! Features lentils, herbs, garlic, lemon juice. Use in salads, sandwiches, healthy recipes. Traditional falafel is made with chickpeas. I used lentils here because I’m more likely to have lentils on hand at any given time. Also: because I LOVE lentils. I have not tried this recipe with chickpeas. For the lentils, lean towards just barely cooked. That will give you a better texture than overly wet, heavy, and mushy lentils. If you don’t have a jalapeño, use red pepper flakes for heat. Nutrition information is for one falafel patty. haha, I’m happy to be hit with a delicious looking recipe like this! I love falafel a whole lot and this easy version sounds perfect! Thanks Katrina! 🙂 Hope you like it! Are you able to use a vitamix instead of a food processor? Did you end up trying this with the vitamix and did it turn out ok? I don’t have a food processor so I also wanted to try it in my Vitamix. I tried using my Blendtec, but had problems with the dough sticking underneath the blade. I’d add the cooked lentils in batches. I used my vitamix and this came out great. I used canned, rinsed & drained, chickpeas instead of lentils though. My Mama always said that and this is a direct quote “those who wear sweatpants in public have given up on life” And although I ardently disagree on the sweatpants, she also believes you must be 3 and under to be leggings. On some level, I’m with her on that way. Oh well. I’m making this falafel, um donuts? Can I call them that? These are the exact shape and size as TimBit Hole so I’m thinking my kids will goggle them down thinking they have donut quality. And healthy. Love your healthy recipes. Leggings as Pants. It’s a dilemma, right? These are the important questions in life. I am one of tose crazy people that has NEVER tried Falafel. I KNOW, you’re judging. I keep meaning to try it…and then I don’t. BUT, I’ve been really <3ing lentils lately, so clearly I need to try these little alien balls of general health and deliciousness! Pinned! Alien Balls of General Health. New post title. BRB. 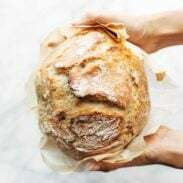 I am too excited to try this recipe! Perfect timing to try it as I’ll be on break soon. Thanks Kelley! Hope you like them! I have never tried falafel, but you’ve got me excited to make it! You did a beautiful job with the pictures! I find that color of green tricky to work with, but you did a great job of making them look very appetizing! yum! Thank you Emily! Appreciate that! Hey, I never thought that falafel can be so simple and healthy! Using olive oil is a really nice touch, makes it so much healthier than the other falafel recipes. Yeah – and I think all the falafel I’ve ever tried has been deep fried! Falafel? Lentils?! You’re speaking my love language. Can’t wait to see all the yummy things you do with these! In the meantime I’ll be continuously shoving these in my face. Yum! I am making your baked falafel this weekend for sure. I enjoy a good falafel. I have only found one restaurant in my area that makes a good falafel, but it is not the healthiest option. I live this baked version and using lentils! Agreed – they seem so healthy but then when they are deep fried, I mean, SO good but kinda bad. 🙂 But homemade + baked all the way! Falafel is always ah-mazing. If someone showed up to Friendsgiving with a platter of these beauties I would probably steal them away before anyone noticed selfso I could eat them all my. I’m super intrigued by this recipe, with lentils over chickpeas. AHHH! I fell in love with Falafel on a 2wk trip to Israel with some folks from my church and I have made it many times sense! 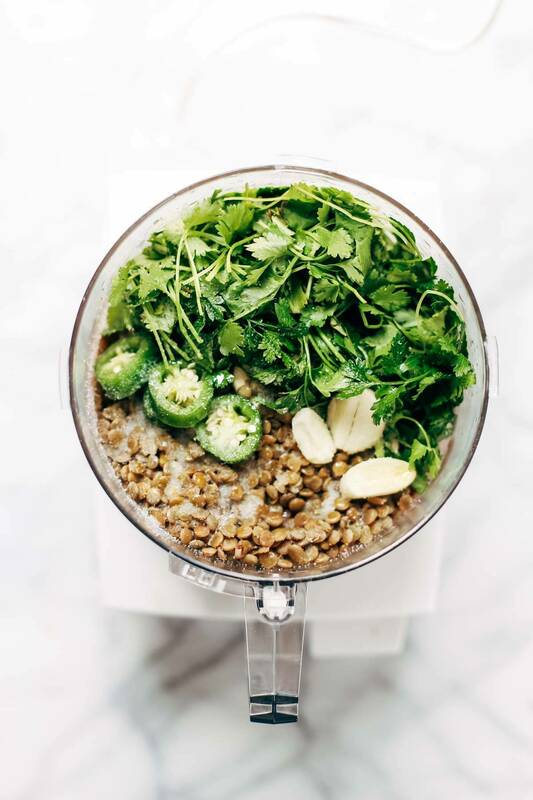 It has definitely been a while though, and this lovely (yes I actually think it is pretty ha) pic has me putting this recipe on the meal plan PRONTO <3 Love the addition of lentils! Thanks Brittany! 🙂 So fun that you’ve had REAL falafel in REAL Israel! Is there any meal I crave more than a plate full of falafel?????. Nope! Besides dessert, falafel is something I can get a craving for any time of day. These look so amazing! And I love that they’re baked! Awesome! I’ve been looking for a simple baked falafel recipe and I LOVE that you used lentils instead of chickpeas! I bet you can make this with any kind of legume really- great way to use up that random can of beans everyone has in their pantry 🙂 Pinned! Right? haha – all about using up those extras! I love falafel! Using lentils is a great idea! I’ve heard really good things about Foxy Falafel but haven’t actually tried it myself! I love falafels! It’s nice to know that there’s a baked version out there. They are usually fried! Glad you recovered from the workshop – it took me a couple of days and I didn’t even teach! It’s like coming down from a camp high or something. 🙂 Thanks for the comment Whitney! I am terrified of frying things, so this recipe is right up my alley 🙂 Quick question – can you give us a size reference on the 9 patties? 2 Tbsp? the size of a ___? I’ve been wanting to make falafel for a while, but never wanted to because of the frying. I LOVE that these are made in the oven and with simple ingredients! This sounds like such a great recipe, I especially love that it’s not made with chickpeas, as my husband cant eat them. Looking forward to giving these a try with the magic green sauce soon! Yes! I never have chickpeas but lentils are a staple. These little awesome green balls of goodness are exactly what I need to contradict the amount of cookies and brownies I have consumed. Yes! I can’t wait to make this. I never order this in restaurants because I just assume it has flower in it and I can’t eat it. But I’m so happy to see this is a GF recipe. Thanks for sharing. 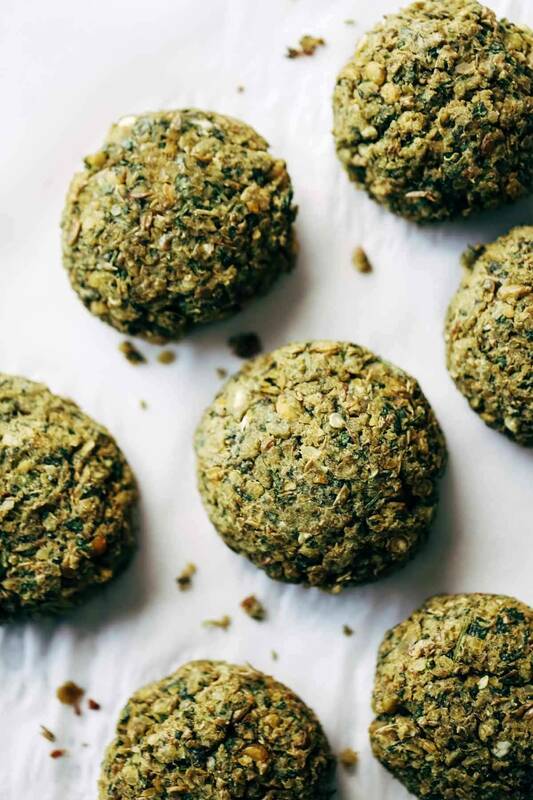 I’m kind of a falafel FIEND and so I am seriously excited to try yours! I love that you used lentils!! What a genius idea. Lentils in falafel! Oh I soooooooo need to get on this falafel train.